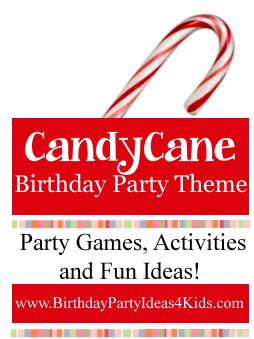 A Candy Cane birthday party theme is perfect for a winter or Christmas time party! We’ve added all of our favorite Candy Cane themed party games, activities, party food, favors, activities, crafts and a great Christmas / Candy Cane themed scavenger hunt! Unique birthday party theme for kids, tweens and teens of all ages! Birthday party themes, party games, birthday activities, Scavenger Hunt lists, Sleepover Guide for girls and boys slumber parties, party planning help, RSVP answers and much more! Next:Birthday Party Ideas 4 Kids Giveaway!